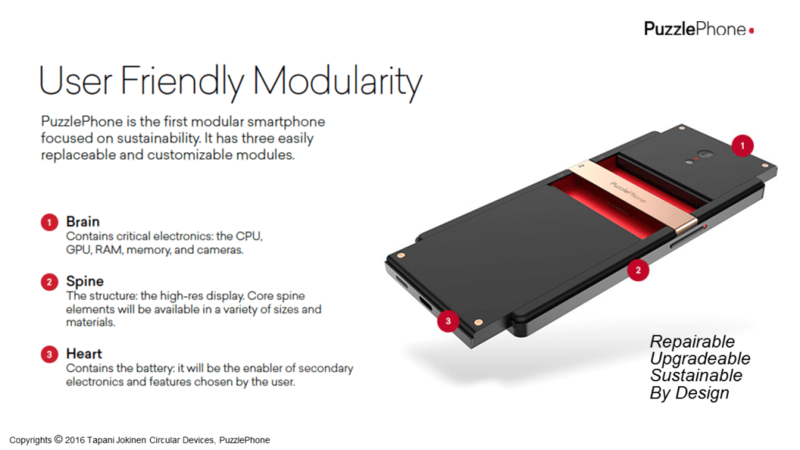 The PuzzlePhone is a modular smartphone designed for longevity. It’s a phone that is repairable, upgradable, and tailored to meet your style and needs in a sustainable and responsible way. Thanks to the three easy-to-change modules the smartphone gets an extended product lifetime, longer relieble consumer time and by that a long-term relationship with the end-user.